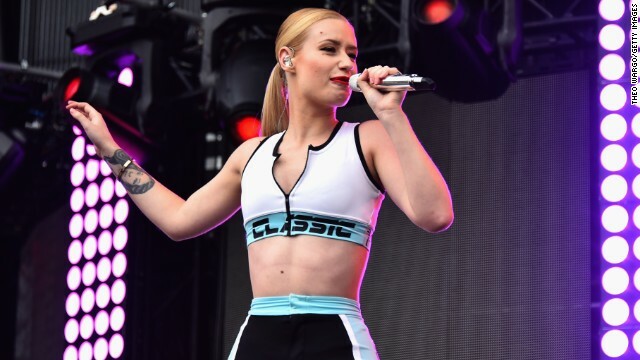 Another point for Iggy Azalea? You already know. The Australian rapper is close to claiming a new record on the Billboard charts with her song of the summer, "Fancy." The track, featuring Charli XCX, has been No. 1 on Billboard's Rap Songs chart for 16 weeks - if it surpasses 18 weeks at No. 1, "Fancy" will become the new title-holder for longest-running No. 1 song on that chart. Martinis in the breakroom and smoking at your desk are no longer features of the modern workplace, but there is one old holdover, as Christina Hendricks coyly points out in a new "Funny or Die" video. The actress slips into the form-fitting dresses of her '60s-era character, Joan Holloway, to imagine what it would be like if Joan had to navigate today's typical office.